Are Udemy and Coursera Worth the Cost? Game design programs have been popping up at colleges left and right over the past decade+. It’s no wonder—video games are a billion dollar industry. More people than ever are playing them, and more people than ever want to make them. But the cost of college has only gone up, and the idea of getting a 6-figure degree to break into an industry that historically has not needed one is a hot debate (don’t believe us? Go on a Reddit forum). It makes sense. A significant number of industry veterans didn’t get a “game design degree” before landing their first jobs. The programs weren’t available then. Sure, there was computer science—but plenty of game designers broke into the industry without a degree. So… is a college degree worth it? It won’t be right for everyone. And, luckily, there are alternatives. For one, you have Coursera. Coursera is a subscription-based learning program with online courses—many of which are created by universities. You can learn at college-level material at a much better rate—and the faster you learn, the less it costs you, because it’s subscription based. Udemy has a flat fee to purchase the course—for life. There are some other differences, too. And we’ll go into a course or two that each one has to offer, and why they might or might not be the right choice for you. First, let’s start with Udemy. Udemy has 55,000 online courses, with thousands of different instructors, and lifetime access for every purchased course. You buy it once, you have it forever. You can go back and reference it at any time! As you’ll see in a bit, not all programs work this way. The ability to go back and reference trouble areas or review to stay sharp is a perk worth keeping in mind. Prices will vary, but Udemy loves to run sales. It seems like every time we check in on them to write a new piece, they have some kind of discount promotion going. For Black Friday, they’re offering 95% off on some of these video game courses. That means you’re paying $10 for 70 hours of content. Content that normally costs $200 (which still seems like a fair trade—do you know what 70 credit hours would cost at a university?). Udemy’s scope of courses seems all-encompassing. What you learn is only limited by your interests (and maybe your bank account—unless there’s a blowout sale!). 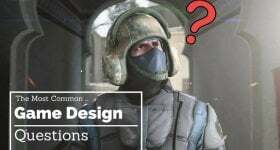 The course requirements are pretty light if you already have a computer that can run the software you’ll be using (Unity3D, Maya, Mudbox, 3DS MAX, and Photoshop). Other than that, all you need are “general computer skills.” (And…they recommend a 3 button mouse). Since you’ll need a computer running these programs anyway, the overhead specific to this course is pretty low (especially compared to…you guessed it! college). Course requirements like this are listed for every class, so you’ll always know what you need before you purchase a program. Every Udemy course offers an in-depth description of what you’ll tackle over the duration of the program. In addition to requirements and descriptions, Udemy courses provide “target audience” information. This lets you know if the course is or is not right for you. This helps with picking courses that are the appropriate skill level and have the appropriate content focus. Udemy does a good job of providing introductory information to its courses so you know what you’re getting. The descriptions, the requirements, the target audience info—all of this is helpful. But one of their most helpful features is the candid reviews from students who have participated in the class. These are reviews from people just like you, who once sat where you sat, who once wondered if they should drop some loot on a Udemy course. -Derek N (3 stars): “the content is great so far, however there is a lot of repetition of previously covered topics. (quick note: this was written a month before the course was updated, in 10/2017—this dated info may have been fixed). -Ryan W (5 stars): “This has to be the absolute BEST educational experience of my life. I could not possibly give a review that truly represents how appreciative I am that this even exists, seriously. Bottom line; the ratio of money spent to knowledge earned is absolutely laughable. But you can see how helpful this is. From this snapshot of feedback, you know that some pieces of content aren’t up to date, but the information is still helpful enough for that reviewer to give the course 4 stars—plus, we know the course has been updated since then. Some customers had a hard time hearing the instructor. Other reviewers say it’s hands down the best use of their money in the history of their education. Candid reviews make the course easier to evaluate. It makes it easier to see if it’s right for you. You hear the good things and the bad things about the course, from people looking for similar outcomes. 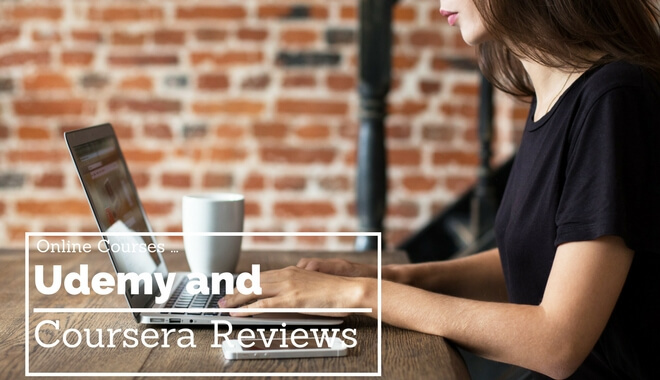 You have to decide for yourself if Udemy courses are for you (with the help of reviewers—wink). If you buy the course while it’s on sale and never open it, that’s a waste. If you start it, get stuck and never go back to finish it—that’s also a waste. But, if you’re motivated, diligent, and ready to put the time in on your own schedule, Udemy’s courses are a potent, low-price option. They’re a great way to get your feet wet to see if you like animation before going to school for it (or a way to enter a program with more skills and knowledge than your peers). Instead of paying once and owning a course for life, Coursera charges you a monthly subscription fee for the courses. The good news is, your first seven days are free as part of a trial period. You can test parts of a course and see if you like it. You have the ability to cancel anytime, or you can proceed into the $49 per month subscription (or annual payments for a slight discount). The subscription pricing model is not as compelling as the pay once model used by Udemy. But the content is coming from top-tier game design schools (at a much better price than full tuition)—schools like Michigan State University and CalArts. These schools are renowned for their game design and animation programs. Coursera makes courses available for $600 a year—100x less than what you’d pay to attend the degree program at these schools. Granted, you’re not getting a full education and access to the same resources (or even the same content)—but the sources of this content are known for excellent programs. The price is right. You Can Earn a Specialization, But Can You Earn College Credit? You can earn certificates for specializations upon completing all the courses in the bundle. You can also take the courses individually if you’re only interested in specific topics (you won’t get the certificate, though). The programs don’t count for college credit, but sometimes universities will give you credit for a specialization certificate earned through Coursera (definitely check with your college before signing on to this, if that’s what you’re looking for). Like Udemy, Coursera allows students to candidly review the courses they’ve participated in. As you can see, some people loved it, others weren’t sure it was worth the monthly price tag. Of course, if you have the time to crank out the course in only a few months, you’ll end up paying less. And if you’re strapped for cash, Coursera does offer financial aid. In any case, these options are significantly less than collegiate-level courses. 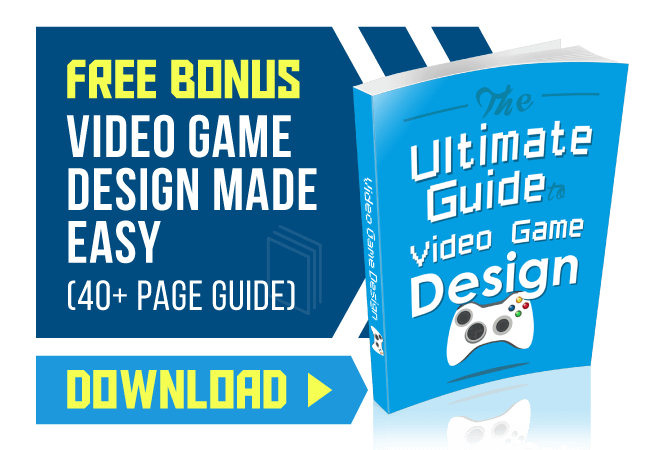 They give you the tools you need to start designing and developing games on your own (no matter what level you’re at—beginner to advanced). Both Udemy and Coursera are solid online platform options—as long as you can stick with any of the courses you enroll in. There won’t be professors making you keep up with assignments, and the price tag isn’t so large that it will necessarily keep you motivated. Once again, your success comes down to the effort you put into the course.